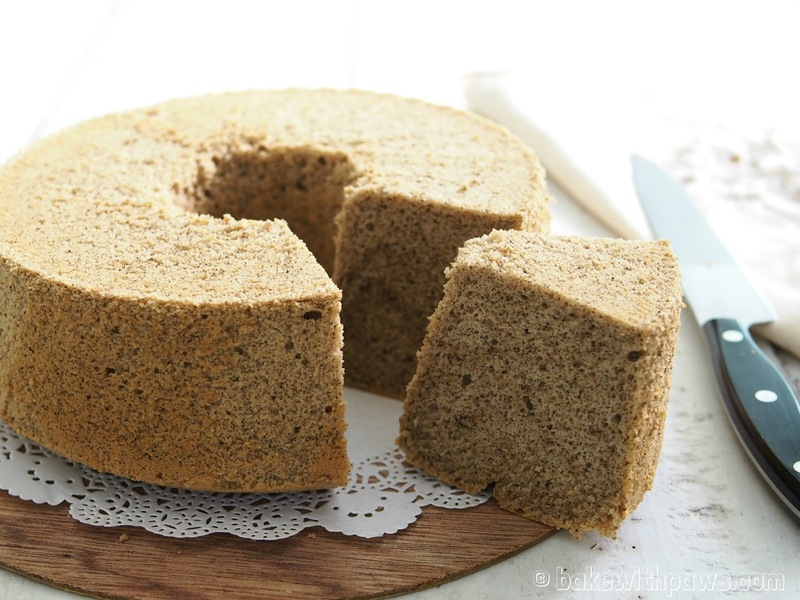 I never thought Earl Grey tea cake can be so delicious. 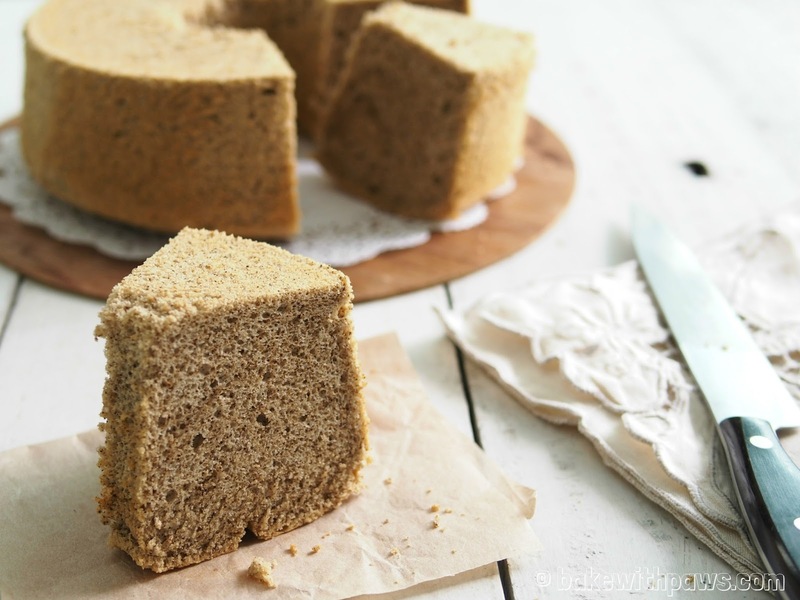 I have seen this tea cake recipe many times but never thought of trying it until one of my girlfriends said that she likes Earl Grey cake. I tried it for the first time and it is truly delicious. Everyone of our family love it too. Recipe adapted and modified from Jeannie Tay Blog. 2. Infuse 2 tea bags of earl grey with hot water. Set aside to cool. 3. Blend earl grey tea leaves of 3 tea bags in the blender for few seconds. 4. Sift flour and baking powder. Add salt and blended earl grey tea. Mix well and set aside. 5. Beat the egg yolks, 20g sugar and vegetable oil with a hand whisk till sugar dissolves. Add in cooled earl grey tea and combine well. 6. Add flour mixture in three batches into the egg yolk mixture. Mix well and set aside. 7. Use a large clean bowl, making sure there’s no water, egg yolk or oil in it. Beat the egg whites with an electric mixer until bubbles form. Add the cream of tartar. After mixing well, add the 60 grams of sugar gradually until stiff peaks form. 8. Spoon out 1/3 of the meringue and fold into the egg mixture. Lightly fold in the rest of the meringue with a spatula, until just combined. 9. Pour into a 21cm tube cake pan and bake in preheated oven for about 60 to 70 minutes until a toothpick inserted into the centre comes out clean. 10. Remove cake from the oven and invert the pan. Allow it to cool completely before removing from cake pan.